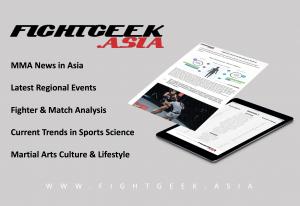 Established in 2016, FightGeek was founded as an Asian company to pioneer performance statistics and analytics solutions for the sport of Mixed Martial Arts (MMA) in its region. 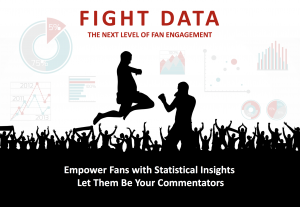 By keeping abreast with MMA trends and technological advents in sports analytics, FightGeek strives to usher MMA data analysis into mainstream Asia, by providing scientifically factual and highly accurate insights of professional bouts, to engage fans and industry practitioners with the sport at a deeper level. Here at FightGeek, we believe Asia is the provenance of martial arts, where its values and traditions are deeply embedded in the fabric of Asian cultures to this day. Our philosophy is based firmly on these same martial values of loyalty, respect, honor and perseverance. Our company mission is to combine our traditional paradigm with cutting-edged technology and advancements in sports science, to deliver an analytics program that is more attuned to the unique complexities of MMA combat. 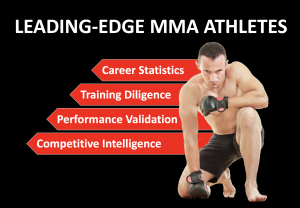 We specialize in the collection, analysis and distribution of MMA performance data. We are the developers of our own proprietary data logging technology, which our data collection team uses to generate data reports. Our database is stored in a centralized cloud-based system, and is distributed via secure API feeds and web-based widgets. With over a year of research and testing, we have developed a revolutionary statistical model for MMA that is more in-depth and intuitive. Our data framework meticulously tracks every quantifiable action and its results within bouts, which breaks down the intricacies of each athlete’s unique skill sets, offensive and defensive efficiency, strengths and weaknesses. We are the geeky fans of martial arts and combat sports. We pursue proficiency in the domains of new technology, sports analytics, statistical modelling and internet-of-things. Our executive team collectively brings over 40 years of combined experience in digital marketing, tech development and events production. We are the future of MMA data science. 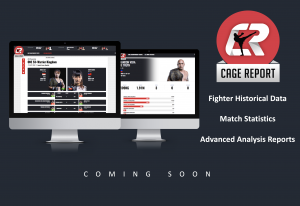 We provide four core services across CageReport.Asia, FightGeek.Asia and our R&D division FightGeek Labs, with the purpose of supporting MMA Promotions with their official match statistics, to providing coaches and athletes with advanced match and training analysis. © FightGeek Pte Ltd. All Rights Reserved.